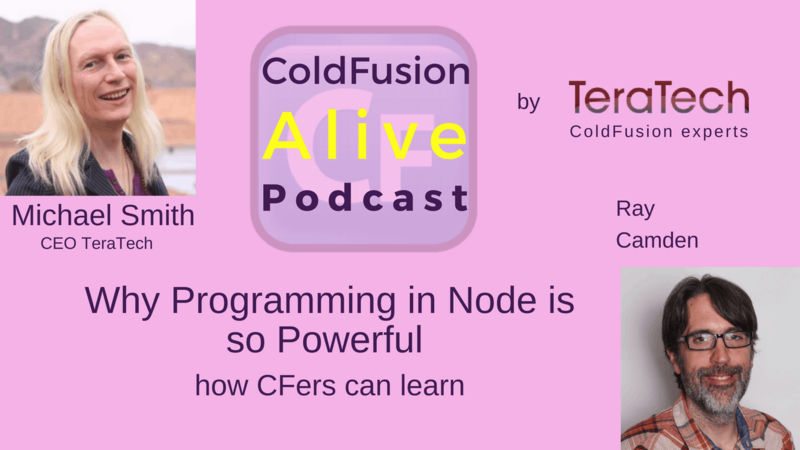 Ray Camden talks about “Why Programming in Node is so Powerful (how CFers can learn)” in this episode of ColdFusion Alive Podcast with host Michaela Light. He is also one of the speakers at CFObjective Conference. 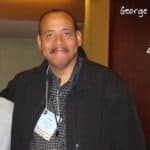 In this talk, Raymond will introduce ColdFusion developers to Node.js development. This will be a high-level talk more focused on the “mechanics” of working with Node versus a deep dive into the language. 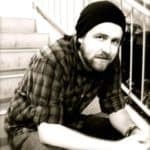 The focus will be on, “Given that I do so and so in ColdFusion, what is it like to do the same in a Node app?” I'll discuss how to get started, what it is like to deploy a Node application, how to test, where to learn more, as well as talk about the things that tripped me up on my way from CF to Node. What is the hardest thing for a CFer learning Node? Why are you proud to use CF? WWIT for you to make CF more alive this year? 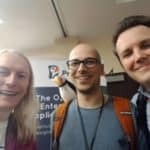 What are you looking forward to at CFObjective? Raymond Camden is a developer advocate for IBM. 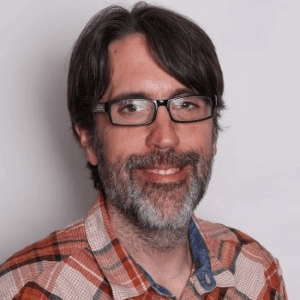 His work focuses on LoopBack, API Connect, serverless, hybrid mobile development, Node.js, HTML5, and web standards in general. 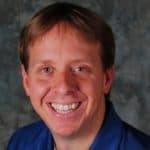 He's a published author and presents at conferences and user groups on a variety of topics. Raymond can be reached at his blog (www.raymondcamden.com), @raymondcamden on Twitter, or via email at raymondcamden@gmail.com. Michael: Welcome back to the show. I'm here with Ray Camden and he is the developer advocate for IBM and he does an amazing amount of stuff. 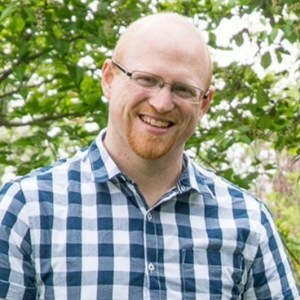 He works on Loopback, API Connect, Servilus, hybrid mobile development, HTML 5, web standards, and Node JS which is what we're hear to talk about today. Fortunately, Ray has his army of storm troopers with him in the room, just in case there are any difficult questions that have to be handled. I take it you're a great fan of Star Wars, I think I've known that for a long time. Ray Camden: Just a little bit. Michael: Just a little. In today's episode, Node JS for Cfers, we're gonna look at what Node JS really is, why you should be programming in it, and what the hardest thing for a Cfer learning node is. We'll also look at deployment tips, how you can test your node applications, and also Ray is going to be talking on the subject of CF objectives, so we will be looking at that as well. Welcome, Ray. Ray Camden: Thank you. Thank you so much. Michael: For those few people who've been isolated in the universe and don't know what Node JS is, what exactly is it?